After several years of teaching church history and theology, it often remains hard to explain the divide between the Lutherans and Reformed (a.k.a. 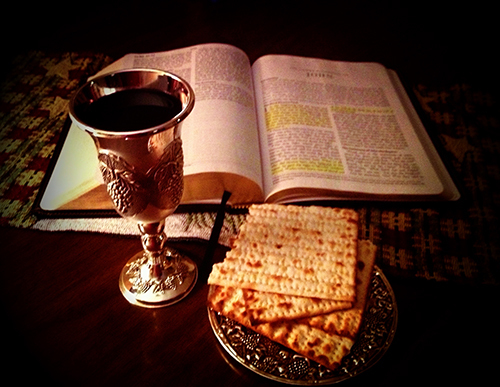 Calvinists) on the Lord’s Supper. After five hundred years of Protestantism, it certainly remains lamentable that evangelicals of various stripes remain divided. So what gives? Why couldn’t everybody just get along? It all comes down to the instrumental use of reason. Lutherans resisted the attempts of the Reformed to use reason as a way to smooth out difficult concepts in the biblical text. Neither side was interested in letting reason determine the core concepts of Christian theology, but the Reformed believed that a redeemed person, using his or her mind, could use tools like formal logic to explain mysteries like Holy Communion. Perhaps the easiest way to explain it is to give you one short exchange between two important Reformation theologians: Jakob Andreae, and Theodore Beza. It took place at the The Colloquy of Montbéliard (1586). This piece says a lot. Please feel free to turn it into a meme (that admittedly only a few would find humorous). Andreae: Paul writes, in 1 Corinthians 10:16: The bread which we break is a communication of the body of Christ. He does not say, it is a communication of the remission of sins, but rather it is a communication of the body of Christ. Beza: Prove it with a syllogism. Andreae: Sayings of Holy Scripture do not need to be proven with a syllogism; they are rather believed on account of divine authority. Andreae: This is a novelty and unheard of in any school: that testimonies of Scripture are proved with a syllogism! Of course, I’m not bringing out Beza’s best moment here, just one that made me chuckle. The point is, as much as it may seem like a trivial matter at first, the real question is a fundamental one. This is often the case with theological controversies. Ought we try and make biblical teachings easier to understand using instrumental reason as the Reformed do, or ought we stand back and receive the mystery of Christ’s presence in, with and under physical things? I’ve gone for the latter option, because I believe the old Lutherans were right that we—at our best—are people who assert theology on account of wayfaring strangers (theologia viatorum). We trust in the mystery even when we can’t intellectually master it. Maybe I just learned, after academic study, that I was too dull to understand it. That’s okay by me, since I’m more interested in listening closely to how God understands me: cloaked in the righteousness of the Lamb of God Who takes away the sin of the world. If you still want to learn more, keep an eye out my colleague Dr. C. J. Armstrong’s forthcoming translation of the colloquy, which will be published by Concordia Publishing House this year (and for which I serve as editor). In the mean time, get the skinny on the ongoing debate, five centuries later, through 1517’s own Brian Thomas. His recent book Wittenberg vs Geneva, is readable and gets right to the biblical material in question. Finally, if you really want to get your hands on some dense academic stuff, you can see that I appreciate Beza’s mind in my book on his understanding of faith and reason. And for now, even in our principled disagreements, we continue to pray for the unity of all, and invite the world to taste and see that the Lord is good (Psalm 34:8).